Did you go to the link we are discussing? Yeah, those are takeoff slides from complete guns. The serial number of the one pictured is BFEH671. Also, their answer about it being able to fit a Gen 3 frame with the adapter is wrong. The front ring on the Gen 4 slide is larger than that on a Gen 3. It is possible to put a Gen 3 slide on a Gen 4 frame with the proper adapters. I've seen people Dremel out Gen 3 frames to fit Gen 4 slides though. If you can't beat'em, join'em. It's a sound business decision. I have seen Glock registered frames sell for as little as $30. If they are selling everything but the frame to people who probably wouldn't buy a Glock if they weren't doing an 80% they just opened up a whole new market. They also turn a bigger profit, since it is more expensive to buy a gun piecemeal, and they don't have to do any warranty work. Glock has to be loving it. I was thinking the same thing. (the part in bold) We see this over and over with ARs - people just LOVE to customize, even though in the hands of most there would be little discernible performance increase by going gung-ho on a custom build over a stock AR HBAR which could be purchased as a whole gun for a lot less. I'd also venture to guess that most people who are building out 80% Glocks are doing so only after having already purchased at least one genuine Glock. Good, you're tracking now. The question I posed to Brownells was regarding the source of the factory slides. I am curious to see if they're willing to state they are parting out guns. They don't mention it in the ad. They are probably selling "factory fresh frames" as well. 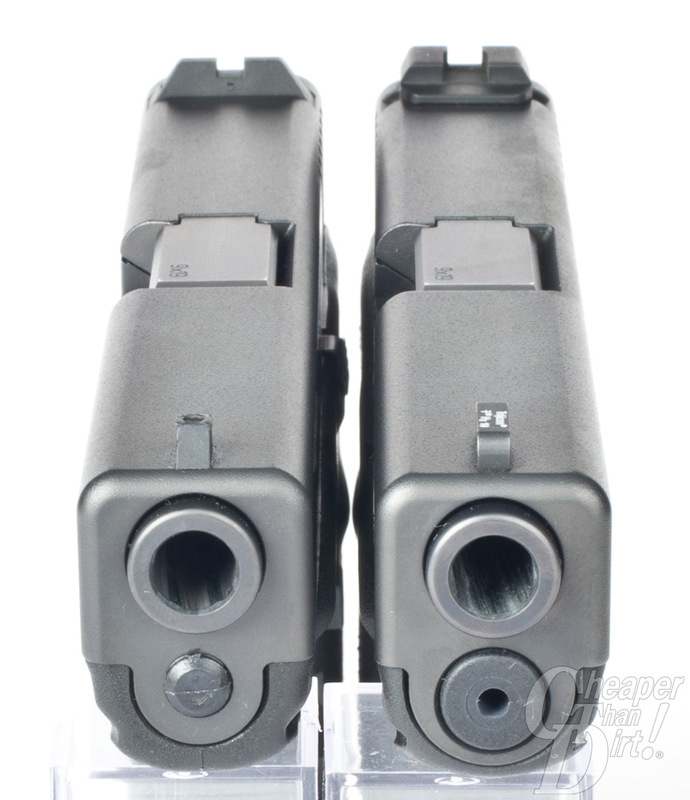 Several dealers on Gunbroker have been doing it for several years splitting complete 1911 pistols into upper and lower units for sale...because they do make a larger profit. Any new complete production firearm will cost noticeably less than a comparable new quality build...and that is before the cost of a factory grade finish. Watching the modification on a Polymer 80 to fit a Gen 4 slide makes it uncomfortably thin, at least for me up there. Not sure if this is posted in one of the many Black Friday deal threads, but JSD has some good discounts going on this weekend. They are right in central PA so shipping to MD is usually only one or two days.